Hosting a visually striking website is important for SEO campaigns because regardless of how effective the content of your site is, if a customer sees a drab and uninspiring web design, you can pretty much guarantee they’ll click away from your site just as quickly as they clicked on it. An attractive design will keep users browsing on your site for prolonged periods which will signal to search engines that you have a high quality site, placing it higher in search rankings. However, the downside of this glitz and glamour is that overly elaborate designs complete with striking media enhancements can overwhelm users who would rather just find answers to their questions. 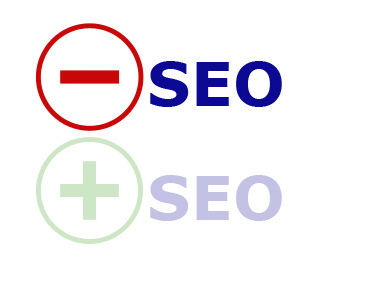 High loading times have a negative effect on SEO too. If your site has flash elements that suddenly burst into life with music the moment it’s clicked on, this can be both annoying and distracting from your online information, and losing views completely ruins all your strong SEO efforts. The best way to build upon the traffic that a well-coordinated SEO campaign has brought to your site is to have a clear and concise homepage, as this is the most efficient place to direct your traffic. A homepage should contain a summary about your businesses intentions, and give clear persuasive reasons for users to look through other pages. Having additional website designs like a Google map to pinpoint your business’ location can help your site’s local SEO rankings too which are often the most likely customers you will receive if you run a brick-and-mortar business. So make your homepage an attractive one with plenty of eye-catching colours, but don’t forget that all main information should be stored here with the use of keywords that are most specific and relevant to your site. This will allow for the quality of traffic to increase as it’ll mean people are there for what you offer, rather than simply browsing and not converting. Usability is also key here. A homepage that is easily navigable by human eyes will be easily navigable by Google’s eyes too. One thing that search engines still take into account are anchor texts, or the words you use to link to webpages, so make sure your internal links have clear, descriptive titles relevant to the page they link to. For example, don’t have a ‘click here’ button to go to your services page, have an ‘our services’ link or, better yet, descriptive links to the various services like ‘business consulting’. Websites hoping to attract customers should be constructed with simple HTML text built via a text editor. This means sticking to a basic website layout with site building codes like beginning with a H1 tag, with P for paragraphs, UL for listings, and H tags for heads and subheads. Basic HTML also has the advantage of attracting web crawlers that can easily read simple anchored text, thereby enhancing search engine rankings for your site. Any keywords should be used meaningfully so that they relate directly to the site’s intentions, and don’t just appear scattered aimlessly about the text. Ultimately it’s best to find a happy medium for your site, combining striking imagery and detailed information in a way that graphic design compliments but doesn’t distract from your content. Instead, it supports the content your SEO has done so well to attract people to. Happy designing! About Author: Liam Brennan is a blogger who values detailed websites with striking imagery. He recommends the GKBC Creative Academy for gaining commercial experience in this area. This is an amazing article and I am glad to read it out. Really extremely valid points you have mentioned here. Thanks. I am amazed with the article and I am sure it will help me a lot. Thanks admin.